We bring forth a broad gamut of Silicone Braided Hoses. The product offered by us are highly used for the application where the visual monitoring of media is required. It is a product providing thermal insulation in extreme temperatures. Defined by industry's standards and norms, our product line is available to the client in the best competitive price. Our esteemed customers can avail from us a wide spectrum of Silicone Tubing. We are a pioneer in the domain of manufacturing and exporting of the offered product. This Silicone Tubing is used extensively in Pharma, medical and Dairy applications. In addition to this, the offered product range is available at competitive rates. 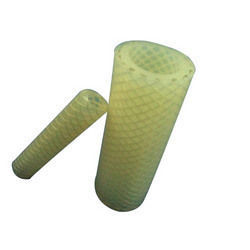 Looking for Silicone Tubes ?